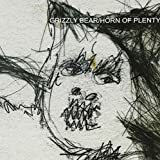 Grizzly Bear Albums, Songs, Lyrics And More at SongMeanings! Grizzly Bear began as a home recording project for Boston-bred experimentalist Edward Droste, the son of an elementary school teacher, who laid the groundwork for the band's otherworldly debut album on a small hand-held tape ... Grizzly Bear began as a home recording project for Boston-bred experimentalist Edward Droste, the son of an elementary school teacher, who laid the groundwork for the band's otherworldly debut album on a small hand-held tape recorder while holed up for 15 months in his Greenpoint, Brooklyn, apartment. His homespun D.I.Y. effort took on new life with the help of multi-instrumentalist Christopher Bear, a Chicago native who had worked in a diverse range of musical projects ranging from laptop electronica to free jazz, who added additional instrumentation and vocals to Droste's stripped-down sonic blueprints. The resulting album, Horn of Plenty -- a pet project originally meant only for Droste's friends -- eventually circulated through New York's underground music scene, with its unique blend of acoustic instruments, layered vocals, and found sounds earning comparisons to alt-rock heavy-hitters such as Sigur Rós, Sufjan Stevens, and Animal Collective. Originally released to little fanfare in 2004, the album gained momentum thanks to copious touring, with Chris Taylor joining the band on reeds and electronics, and Daniel Rossen providing additional guitar and vocals. It was reissued in 2005 as a two-CD set featuring remixes by Dntel (of the Postal Service), Final Fantasy, Solex, and the Soft Pink Truth (aka Drew Daniel of Matmos). 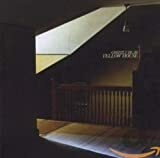 An album of Droste's early demo recordings, Sorry for the Delay, was released in 2006 as the band finished up recording Yellow House, its second proper full-length album. Warp signed the band that spring and released Yellow House that fall. A year later, the Friend EP, which featured cameos from Beirut, CSS, and Band of Horses, arrived. For 2009's elaborate Veckatimest, the band collaborated with contemporary classical composer/conductor Nico Muhly, Beach House vocalist Victoria LeGrand, the Acme String Quartet, and the Brooklyn Youth Choir. The album would be a resounding success for the band, debuting at number eight on the Billboard 200 and making the band a ubiquitous entry on critical year-end lists. The band eventually followed up three years later with its 2012 effort, Shields.